Welcome to the Website of the Marching 100 Alumni Band Association. 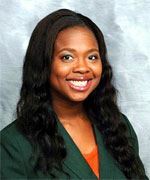 The Marching 100 Alumni Band Association is a non-profit, 501(c)(3) organization that has been very generous in its support of the FAMU band program by awarding academic scholarships, book vouchers, band camp scholarships, and in-kind gifts to the marching, symphonic, and jazz band programs. Our mission is to make sure the association actively assists, enthusiastically supports, and aggressively promotes the FAMU band program and the university through all reasonable and appropriate means. As the leader of this prestigious organization, it is my mission to rebuild a network that values the continuation of friendships, the inclusion of all former band members, and the contribution to the spirit shared by all Rattlers. Every donation you give helps our students have a better collegiate experience in the hopes that they become FAMU graduates and productive members of society. Join the movement and become a member of the Association today! We accept FAMU band alumni, friends, family members, and all Rattler supporters who want to become a member. Thanks for stopping by and Go Rattlers!